Back in 1980, singer Mac Davis had a hit with his song Texas in My Rear View Mirror and I'm guessing down at the Continental United base in Houston a few pilots are feelin' that way about their erstwhile careers flying the Boeing 787. Because, as I reported for Mary Kirby's excellent APEX Editors Blog earlier this week, a good number of those pilots who were headed to the 787 cockpit have been diverted back to their old airplanes. 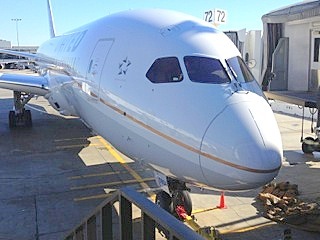 And FAA grounding of the Dreamliner notwithstanding, United has canceled all 787 flights until June. The United PR machine won't provide numbers, other than to say that 125 pilots already qualified on the Dreamliner will remain type-rated using sims and any other tools allowed by the FAA to keep them current. It's the folks who were on the runway, about to taxi or even en route to becoming certified 787 pilots who will not arrive at their destination. There's no rescheduled flight, and there's no ETA. How much will the airline pay to keep 125 pilots on the ground? What's the cost of crewing the Dreamliner replacement aircraft? What is the price of re-qualifying pilots on their previous equipment? How long will it take to train pilots on the 787 when it becomes necessary? And the big, bad unknown, when will the nightmare end, in weeks, months, a year, ever? Without diminishing the fact that the Dreamliner's woes are wide and plentiful, I do have sympathy for the little folks, those who were pining for a position on the flight deck of the world's newest airliner. In Mac Davis's song, the young man leaves Lubbock, Texas for the bright lights of the big city. He wants nothing more than to watch his home town disappear behind him. But when Hollywood turns out to be soul-sucking he points his car southeast. Happiness, he has discovered, is not Texas in the rear view mirror, it is the sight of home growing nearer and nearer. I'm not saying there's a metaphor there. If you find one, great. But to the wanna-be Dreamliner drivers and the already flyers stuck in a holding pattern, at the very least, I hope Mac Davis's tune provides a welcome, four-minute Dreamliner distraction. Due to the seniority systems in place at most airlines, the pilots who expected to be flying the 787 are the most senior and will simply move "backward" or "down" to a 777 or something equally large. However, the ripple effect of them moving backward may force some of the most junior pilots out the bottom into furlough. The senior pilots may be disappointed about their downsizing, but some junior pilots may end up on the street. 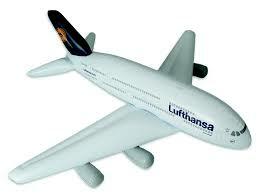 The biggest staffing issue for the major airlines is not what to do with the excess Dreamliner pilots. Rather it is where to get the new pilots to replace the ones now retiring by hundreds per year. Last December the mandatory retirements that we going to happen in 2008 when the age was moved to 65 began again. The five years the industry had to address this on coming issue has passed without a clear solution. With new minimum hiring requirements, majors as well as regionals are scrambling to fill their staffing requirements. With or without the Dreamliner issues, I see recruitment not furloughs in the foreseeable future.